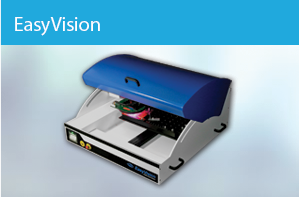 The EasyVision Automatic Optical Inspection system offers an entry level camera based facility for the verification of assembled printed circuit boards. Using a 2M pixel camera and telecentric lens it provides a rapid and repeatable inspection process at an affordable cost with a range of options allowing the system to grow in accordance with your requirements. Our experience shows that using a 2M pixel camera, with a 23.5mm X 17.6mm field of view, both component and solder shape can be accurately determined for components down to 0402 case size or leg pitches down to 0.4mm. Upgrade option available. Our standard tooling tray will accommodate boards or panels up to 475mm X 350mm. Support is provided around the tooling tray to allow for the accurate positioning and re-positioning of boards under inspection. Alternative machine foot prints are available as an upgrade option to accommodate larger boards or panels. In addition a complete set of adjustable tooling is included to aid board location. In addition to a comprehensive set of modules used in the automatic inspection process there are additional facilities including comparator inspection, first off inspection, prototype assembly, inspected board images and a comprehensive set of down loads for statistical analysis. 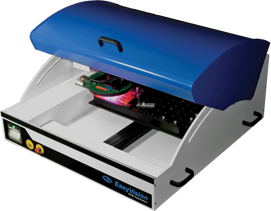 A panel mounted tally roll printer is provided to give local details of board faults. The ability to down load data over a network is not affected. 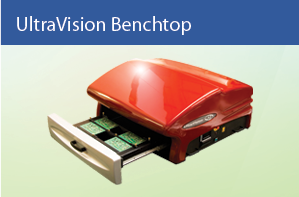 As standard, an off line software package is provided with EasyVision. Both programming and fault reviews can be carried out off line. To program a new board, it is only necessary to image the board on EasyVision and download those images to the off line facility. This new board can then be programmed without interrupting general inspection. On completion it can then be transferred back to the inspection system for optimisation and later use. All fault reviews can be performed off line; both the master image and image under test are presented to the operator. Our off line software allows the user to re-test components allowing them the option of evaluating changes which would affect the result thus affording them opportunity to adjust the main inspection program if necessary. A 3 day training period is included in the standard quotation. We normally recommend an initial 2 day period with a further day being taken after approximately 4 weeks. We would normally only recommend a maximum of 2 operators being trained at any one time. Unlimited telephone support is always available from our offices. To further support our products contract maintenance for both hardware and software can be taken out at any time after installation. EasyVision is supplied with PC including a multicore Intel processor running at >3MHz and a pair of 1TB Hard Drives in Raid 0 configuration for performance. Our experience shows that using a 2M pixel camera with a 23.5mm X 17.6mm field of view both component and solder shape can be accurately determined for components down to 0402 case size or leg pitches down to 0.4mm. 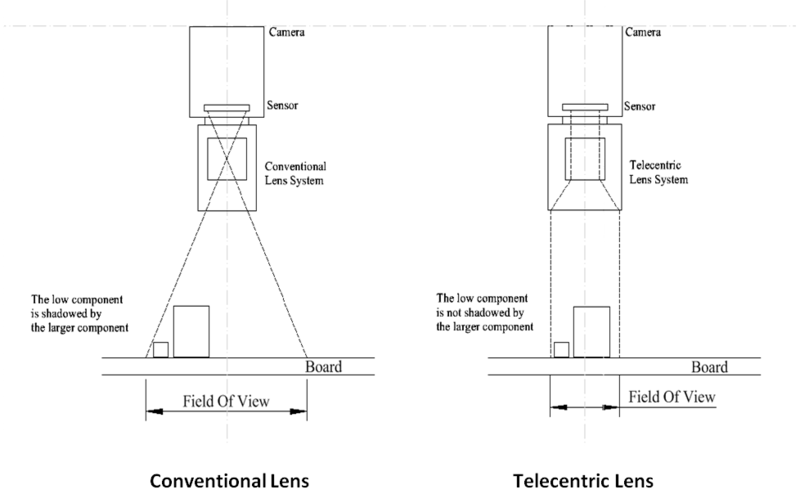 A 5M pixel camera is available as an alternative which will inspect components down to 01005 and leg pitches of 0.3mm. The EasyVision was designed so that it was scalable. This allows us to offer a range of alternative footprints to accommdate the needs of the end user. Due to the vast quantity of different outcomes they are not listed on our website, however of you have a requirement please feel free to contact us to discuse you requirements. 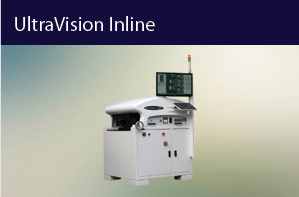 To complement optical inspection the laser will confirm uncertainties related to leg distortion or inadequate soldering on IC type components. In addition component co-planarity can be verified. To compensate for board distortion referance points are measured close to the component being inspected. The laser has a resolution of 12µM. EasyVision can directly read a wide range of 1D and 2D barcodes to ensure complete product traceability with the automatic barcode reading option. The AOI stand is a robust product manufactured from aluminium extrusion fitted with adjustable feet. The stand fits within the footprint of the inspection system and presents the unit at a convenient working height. A mounting platform is provided for the computer. Designed to match the AOI stand, it will support the monitor, key board and mouse. It is fitted with adjustable feet and is at a convenient sitting height for an operator. We include as part of the standard package an Offline license but an additional package can be purchased at any time to suit your requirements.